1. a place where a group of friends choose to enjoy themselves. Playground Cellars was born from a passion for wine, a thrill for discovering something new, and joy from sharing what we find along our journey. We explore different wine regions and produce small artisanal lots from hard to acquire sources; striving for the varietal and terroir to come through with every sip. We focus on quality over quantity and bring these gems to you. Our releases are limited production and most will not be repeated again. When you enjoy a bottle of Playground you’ll experience something new vintage to vintage. 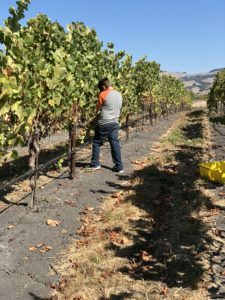 After years of working harvests and dabbling as a Garagiste, I jumped into wine full time and worked in a variety of cellars and vineyards. 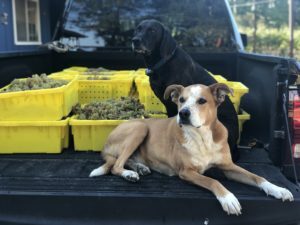 I believe the key to unlocking some fantastic vintages is experimentation and exploration of varietal and winemaking techniques from several areas. My idea is to pursue the truly exceptional and share these discoveries with you. My philosophy is that wine should not be saved for special occasions or for a few people but shared with everyone. My favorite Somm experiences are introducing someone to a wine that speaks to them or opens a new world. When I am not frolicking in the vineyards at work, you can find me giving Joe my stamp of approval on a final blend, coordinating my picking crew for some garage wine, providing tasting notes, or all other duties as assigned!